-- Pilar will pay any price to be abducted on the journey that is to deliver her to a convent. 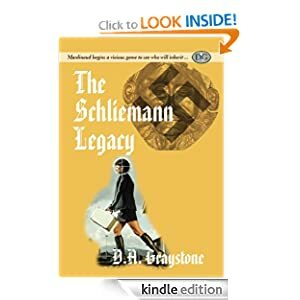 She is determined to defy Don Esteban, her vicious stepfather who murdered her mother and expects to shut Pilar away while he takes up an office in the Spanish Louisiana. The man she chooses for this desperate rescue is El Leon, the lion, a former nobleman turned brigand in the hills of Spain. Refugio needs the nun's dowry of gold Pilar promises, but more tempting is the chance for vengeance against Don Esteban who destroyed his family honor. He agrees to her plan--but nothing goes as it should. The gold disappears and Pilar is left to his uncertain mercy. As Pilar and Refugio embark for the New World on the trail of Don Esteban, passion flares between them. But will the fire of revenge bind them together or destroy them? -- 1873 — Heinrich Schliemann discovered ancient treasure in Turkey which proved the existence of Troy. 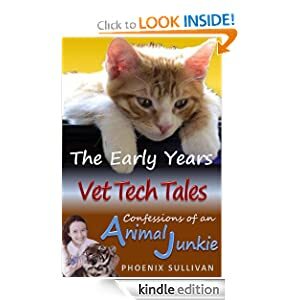 -- Armed with the belief that simply loving animals would be enough to see her through high school, college, and eventually into veterinary medicine, Phoenix is in for some rude surprises as she navigates her way toward a career working with animals in "The Early Years," the first installment of her VET TECH TALES series. From the dying finch found miraculously "resurrected" in a pet store to the diabetic poodle that gives its elderly owner a purpose in life to an embarrassing incident with a coyote, these engaging true tales reinforce how the animals we meet teach us the greatest lessons about what it means to be human. A charming coming-of-age story for anyone who's ever had a dream or a pet. -- A rise in stroke-like cases has CDC analyst Mike Shafer on alert. Patients in every demographic in the Great Plains area, from toddlers to healthy adults to the elderly, are succumbing to rapid deterioration - and death. Whatever it is, it's spreading. Fast. 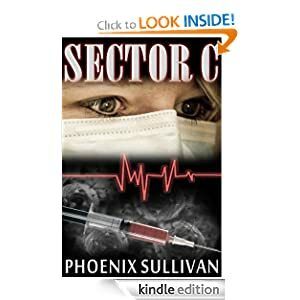 As state and federal agencies race to contain the growing threats, Mike and Donna's searches for Patient Zero intersect at a big-game compound in a remote corner of North Dakota. There they find their answer buried in a secret thought extinct for 10,000 years. A secret entrepreneur Walt Thurman will kill to protect. -- The world of Strathos is in dire peril. The Winter God has gone mad, dragging the world into an eternal blizzard. Can a band of strangers fulfill a broken prophecy or will the prophecy break them and all they hold dear? "A bold new voice just burst onto the Young Adult Fantasy scene. With such strong characters and intricate world building, Carolyn McCray has just raised the bar for YA fiction. 7 Folds of Winter? In one word? FANTASTIC!" 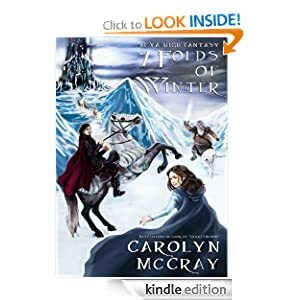 "I normally don't read fantasy books, but when I read 7 Folds of Winter, I couldn't help but get attached to the characters and their struggles. The author did an amazing job of expressing each individual character's voice and role in the story. I know teens that have a taste for action, adventure, and romance all in one will love to read this book!" "7 Folds of Winter is a unique mix of characters thrown in together by the Fates to travel across this amazing white icy world to save it and each other, but will it be enough? 7 Folds of Winter is a roller coaster in a snowstorm. Exciting! Chilling! Exhilarating!" 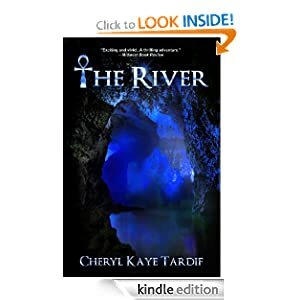 -- The South Nahanni River area of Canada's Northwest Territories has a history of mysterious deaths, disappearances and headless corpses, but it may also hold the key to humanity’s survival―or its destruction. Seven years ago, Del Hawthorne’s father and three of his friends disappeared near the Nahanni River and were presumed dead. When one of the missing men stumbles onto the University grounds, alive but barely recognizable and aging before her eyes, Del is shocked. Especially when the man tells her something inconceivable. Her father is still alive! At what point have we become...God?